Dr. Londel Fields now offers the latest in implant technology. Individuals who are missing teeth now have the option to call a dentist in Sapulpa, OK, who can place one stage dental implants that are ready for immediate use. Londel Fields, DDS, has recently been certified and strategically trained to place OCO biomedical dental implants, the latest in advanced tooth replacement procedures. Within the profession, researchers are constantly searching for ways to make oral wellness as painless and expedient as possible. Local Sapulpa, OK dentist, Dr. Fields, maintains the latest knowledge of the current technological advances, to ensure that his patients receive the best treatment available. It is for this reason, he has adopted one stage implants. Individuals who are missing teeth can enjoy all the benefits of an aesthetically appealing natural tooth, without the cost and long term wait that generally accompanies traditional options. Missing teeth can be aesthetically unpleasant and make chewing and oral hygiene difficult or uncomfortable, as well as create more serious concerns. The root of a tooth rests in a socket within the jawbone, and when a person chews, the friction stimulates the bone to regenerate, maintaining the health of bone. When the socket is empty, the stimulation diminishes and the jaw begins to deteriorate. Surrounding teeth are deprived of their foundation, as the tissue is resorbed into the system, and they may become loose and fall out. The deterioration of the jawbone causes significant changes to the facial structure, creating a shrunken appearance within the facial structure. Dental implants were designed as a way to prevent bone loss and restore oral health. These replacement teeth begin with a titanium post that is surgically placed within the empty socket. The post requires a few months to heal, and during this time, a dentist in Sapulpa, OK, typically provides a temporary crown to fill the gap until the healing process is complete and a permanent tooth can be affixed. Dr. Fields knows that many patients do not want to be inconvenienced due to this lengthy process, and thus he has sought out extensive training that allows him to provide OCO Biomedical dental implants. By improving the post, developers were able to create a replacement root that has immediate utility. The permanent tooth is typically installed on the same day of the procedure. Anyone seeking a dentist in Sapulpa, OK, who provides affordable, instant tooth replacement options, can find more information on Dr. Fields’ website. 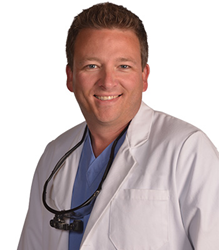 Dr. Londel Fields is a general dentist offering personalized dental care for patients in Sapulpa, OK. Dr. Fields earned his Doctorate of Dental Surgery from the University of Oklahoma College of Dentistry, before relocating to Sapulpa. Dr. Fields offers a variety of dental services, including dental implants, cosmetic dentistry, and general dentistry services. To find out more about the services he offers, visit his website at http://www.sapulpadentist.com or call (918) 347-6647 to schedule an appointment.